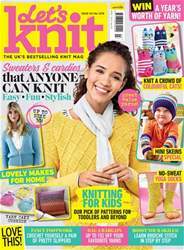 October's Let's Knit features a must-have collection of quick-knit winter accessories for the whole family! 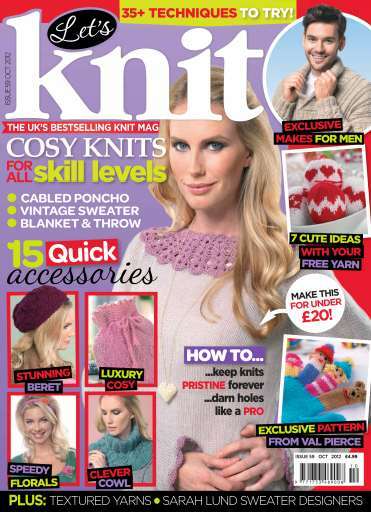 Find patterns for all skill levels including easy mitts, finger puppet gloves and a stylish men's hat. There are simple yet effective homewares, and gorgeous garments, each with a bit of a twist. 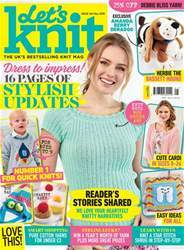 Read our fab features to learn how to care for your knitwear and darn holes the professional way. Boost your stash with our shopping pages and guides to new yarns, pattern books and exciting knitty goodies. 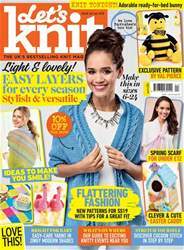 There are also over £550 worth of prizes to be won, plus offers and discounts for every reader!